Why isn't there any sound being streamed to my tablet/phone? Many users don't know that iOS will only allow playing sound from an internal music app, and will mute the sound being played by other apps. In this case, you can hear the sound from the iPad's internal app, but won't be able to hear the sound from another app like Splashtop. The following instructions can help you determine if you are having problems due to this situation. 1. Tap Settings > General. 2. Under Use Side Switch to shown below, select Mute. 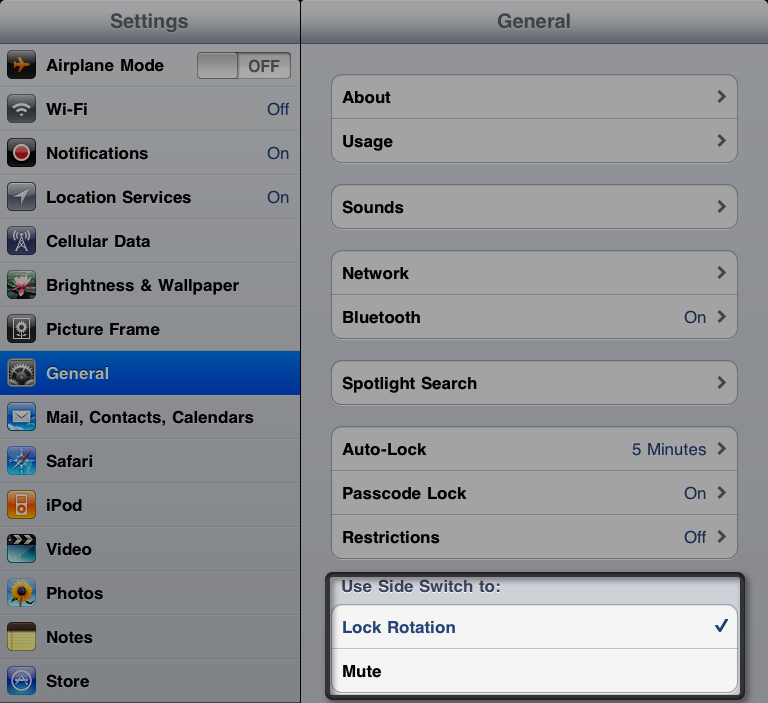 Then select Lock Rotation again to fix a bug from iOS. 3. Swipe up along the bottom of the screen to display Control Center. 4. If there is a slash across the Sound button as shown above, tapping it can enable your sound function again. 3. Double-click the Home button to display recently used apps. 5. If there is a slash across the Speaker button as shown above on the left, tapping it can enable your sound function again. If you still can't get sound on your iPad, please also check the settings on your Windows or Mac. Please view the following links to confirm that the Streamer side has been properly set up as well. Why is there no sound streamed to my device from a macOS 10.13 device? Why is there no sound on my Mac? Or why do I hear noise coming from my Mac's microphone? How do I make sound work when connecting to a Vista or Win7 system? How do I make sound work when connecting to a Windows XP system?